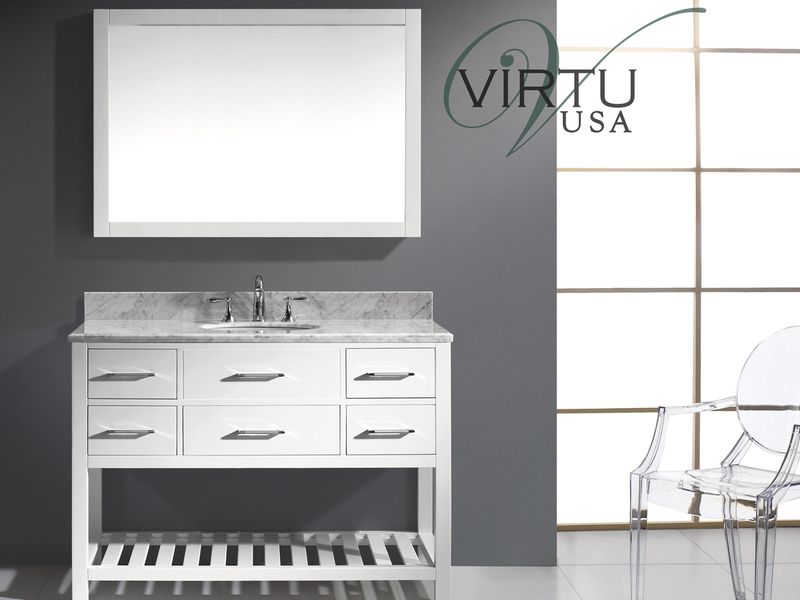 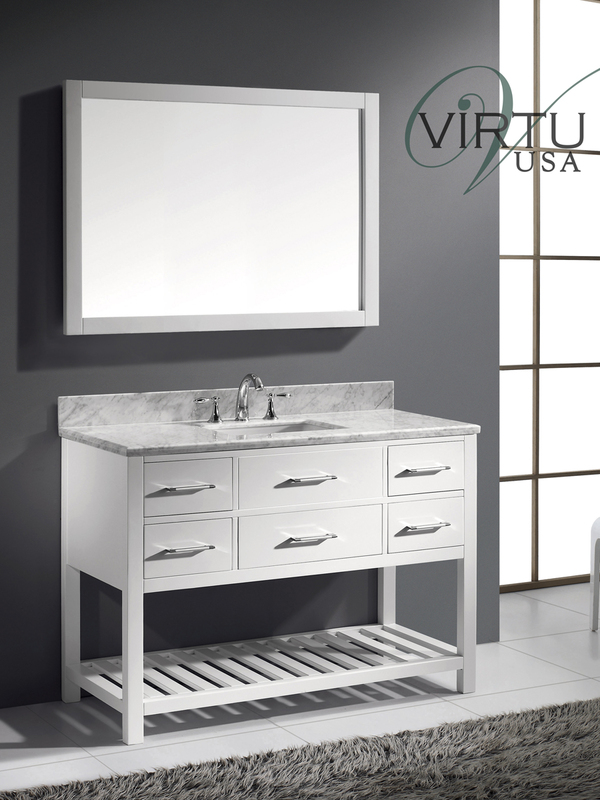 Brighten up your entire bathroom with the 49" Caroline Estate Single Vanity. 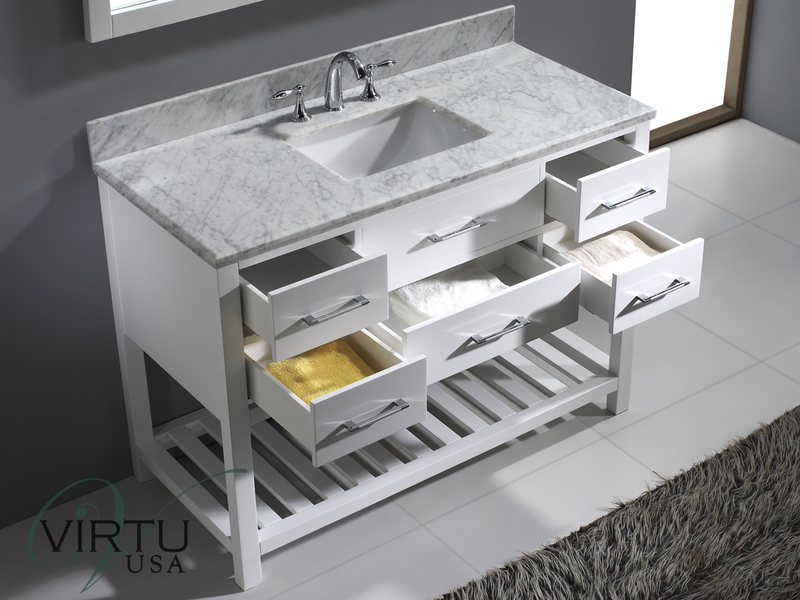 With five spacious storage drawers and a cabinet-wide towel shelf, there won't be need for additional storage space. 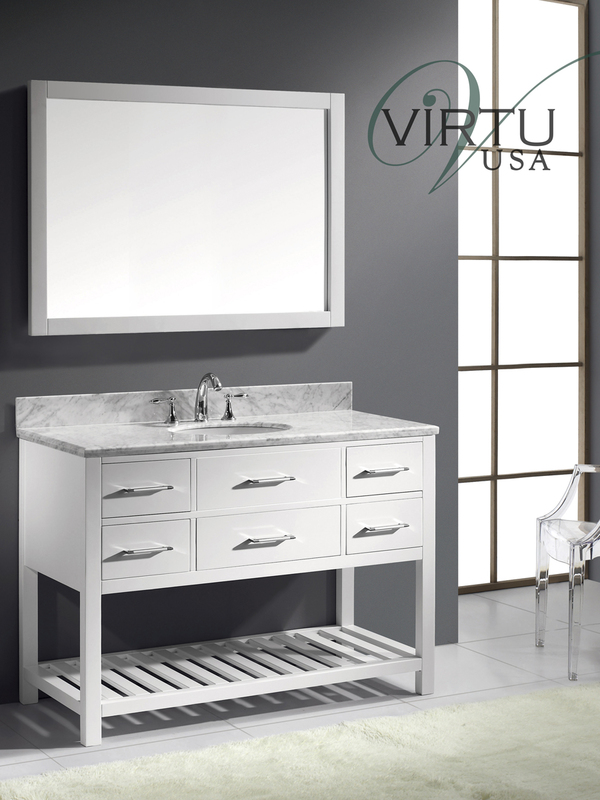 Its cabinet is constructed from solid oak and is finished with a crisp White finish, giving a light, clean appeal to your bathroom. 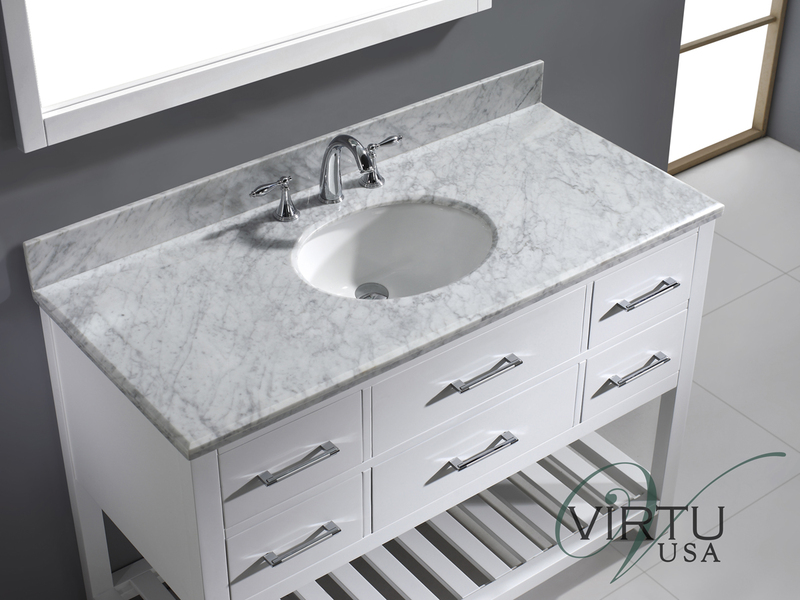 To complement its gorgeous cabinet, an Italian Carrera White Marble top gives it a regal look. 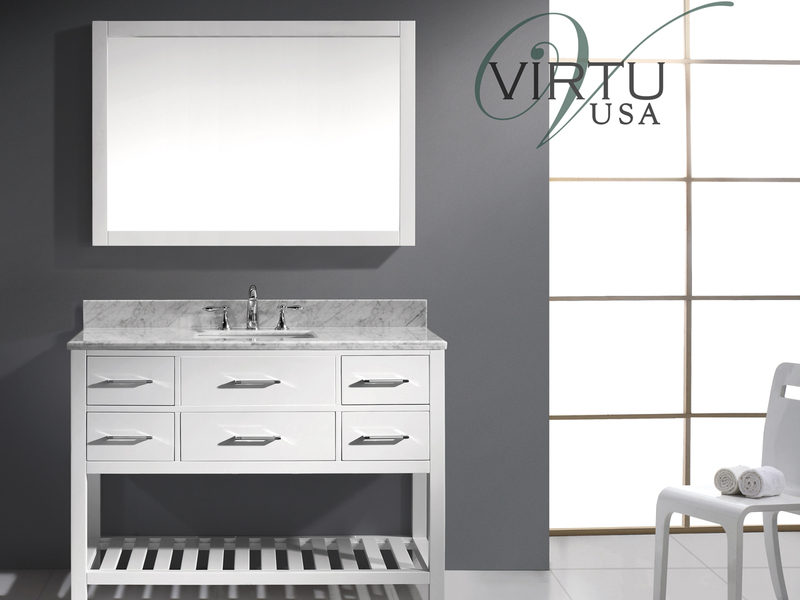 Brushed Nickel hardware adorn the drawer fronts while the included framed mirror gives the vanity a finishing touch!